A Sunday Stroll- from Seagry. Starts at 2pm from Goss Croft Hall, Upper Seagry SN15 5HD. We walk out to Seagry Wood and Lower Seagry Church. Lifts are suggested at £1.50. How do I join in a walk? Just turn up at the meeting point at the appropriate time and introduce yourself to the walk leader. 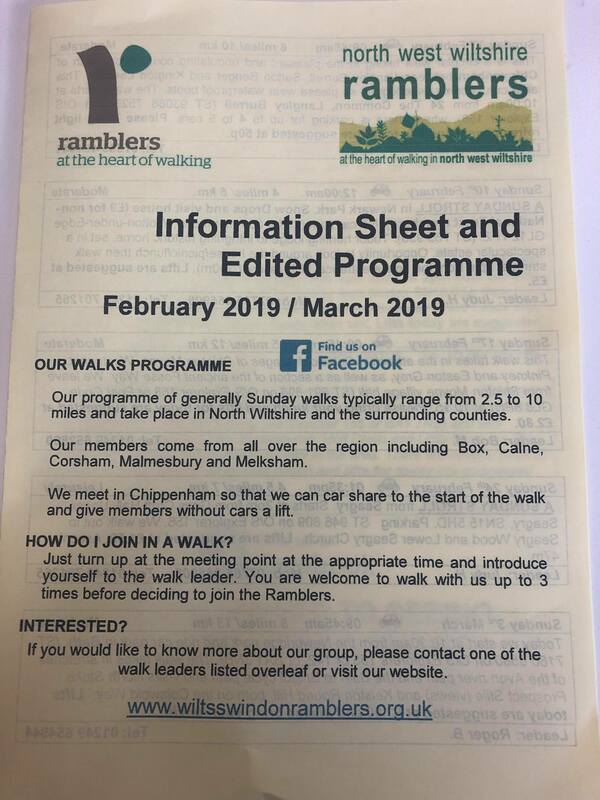 You are welcome to walk with us up to 3 times before deciding to join the Ramblers.